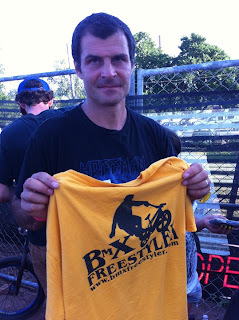 Mat Hoffman was the reason that I got back on the bike after I though I was too old at the age of 36. I had the opportunity to tell him this in person and how grateful I was for his inspiration. It is my great privlage to share this new video of Mat being inducted into the Natinoal BMX Hall of Fame! 2012 National BMX Hall of Fame - Mat Hoffman from USA BMX on Vimeo.